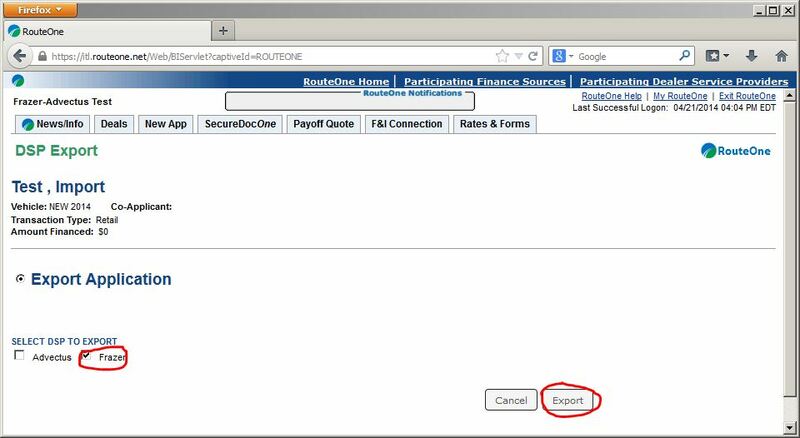 In addition to transmitting prospect deals originally entered in Frazer to RouteOne, the reverse (bringing apps from RouteOne to Frazer) is also an option. 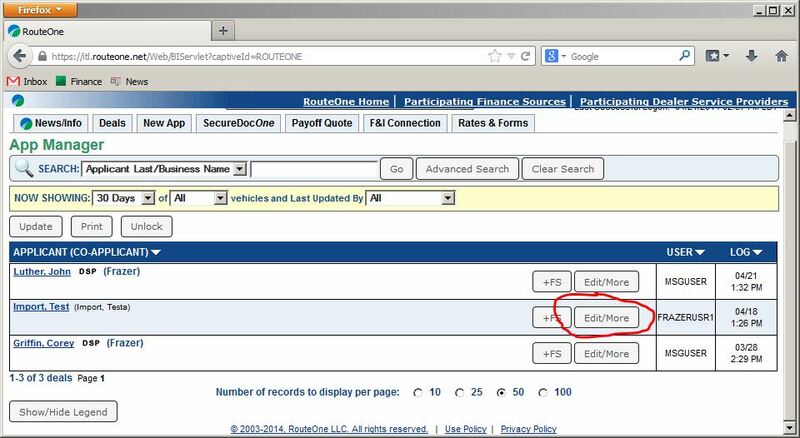 This is accessed via Sales -> H - RouteOne Import at the top of the main Frazer window frame. The list at the top shows all of the applications exported from RouteOne in reverse order (newest on top). Clicking one will show more details about the application (including all of the information that will be imported) in the bottom list. The "Refresh" button checks the web service again for any new imports. 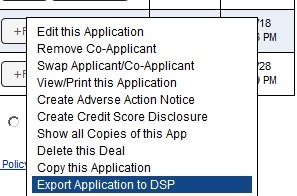 Clicking "Add Selected Prospect To Frazer" will import all of the information listed. If the stock doesn't already exist in Frazer a new vehicle will be added (with a purchase date of today and just the basic VIN information). 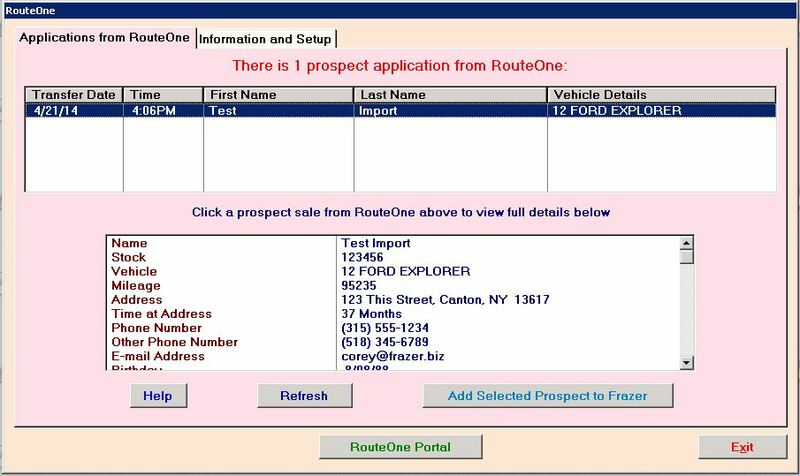 If no stock was specified in RouteOne, the prospect is added with no vehicle attached.